With fewer than 1,000 residents, Green River could easily be a sleepy town with little to do or see. But visitors say this quiet community on the banks of the nearby Green River, is actually home to some of Utah’s best attractions, making it well worth a visit. Adrenaline junkies can raft their way through white water rapids on guided tours of the roaring river, while history buffs can venture into the past at the John Wesley Powell River History Museum. 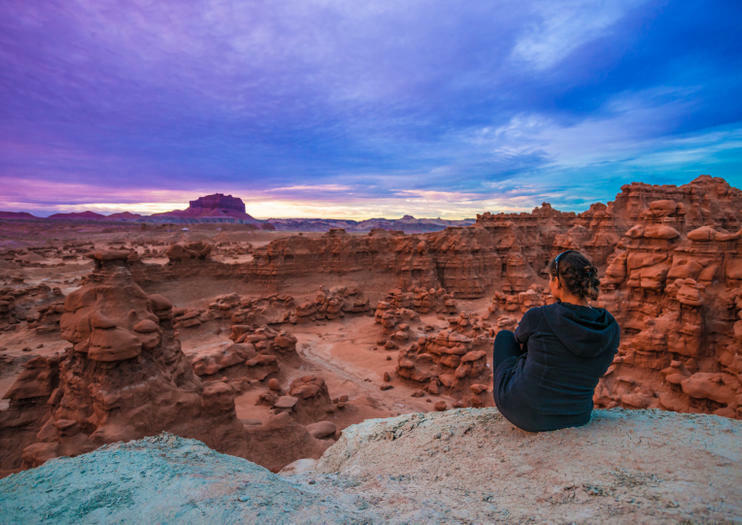 The unique rock formations at nearby Goblin Valley provide scenic terrain to explore on foot and the Black Dragon Canyon Trail offers visitors a chance to take in the beautiful mountain scenery on one of the area’s most epic trails. Green River is located off of highway 191 between the Cedar Mountain Recreation Area and Arches National Park.